Network discovery tool of IPHost Network Monitor allows to detect and re-detect network devices on subnet, or selective list of IP addresses or hostnames. It only takes 2 minutes to install IPHost and commence discovering hosts to monitor on your network. 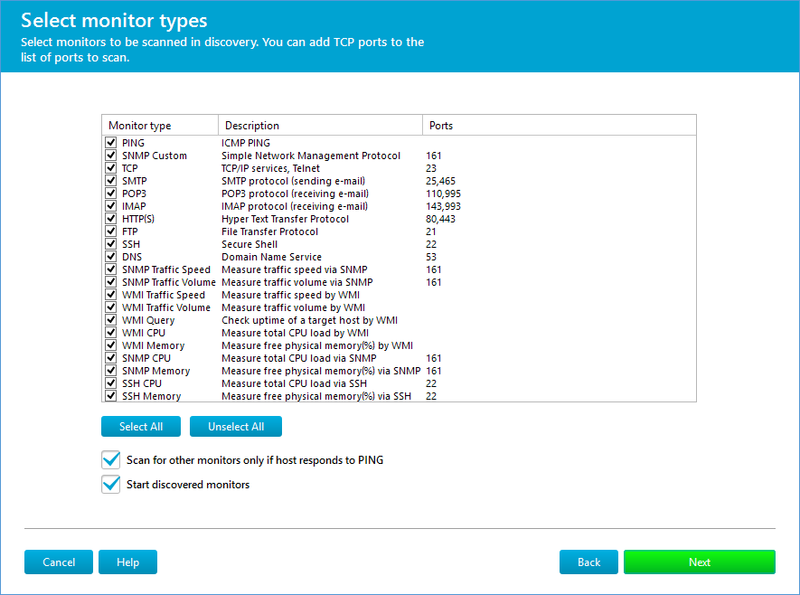 IPHost Network Monitor creates base set of resource monitors on your local area network for your monitoring system using automatic network discovery. The process finds hosts (using network mask it detects, or IP addresses/hostnames list, if entered) and checks every host for user-defined set of known resources (protocols supported – such as PING, HTTP, SSH, SMTP etc). 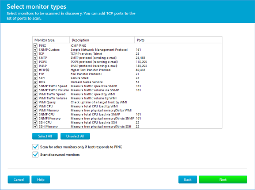 It also can create WMI or SNMP traffic monitors, if corresponding protocols are detected. Using default set of selected resources allows you to start monitoring your network in a few minutes after having installed IPHost. If regular rediscoveries are set up, you can keep hosts and resources list up-to-date with minimal efforts. 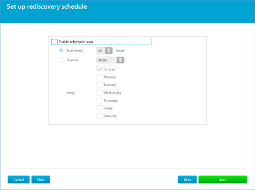 To begin, run discovery wizard: click Discover Network button on toolbar (you’ll have choice of Quick or Advanced discovery), or select Discover Network item from Tools menu (in the latter case, Advanced discovery will be run). 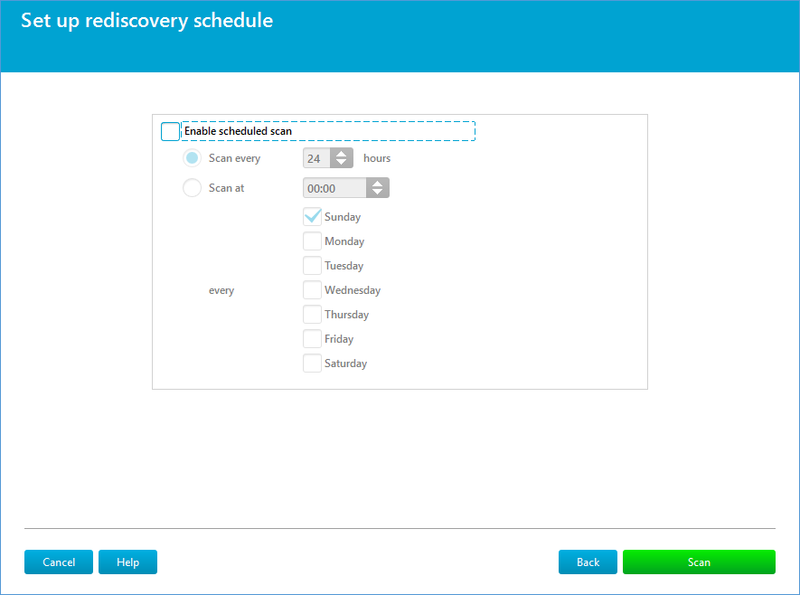 The Quick discovery uses default values for all scan parameters, whereas the Advanced discovery allows you to modify scan parameters to suit your network environment. The above step is only available when there are several remote network gents available (including local agent: main installation of IPHost). 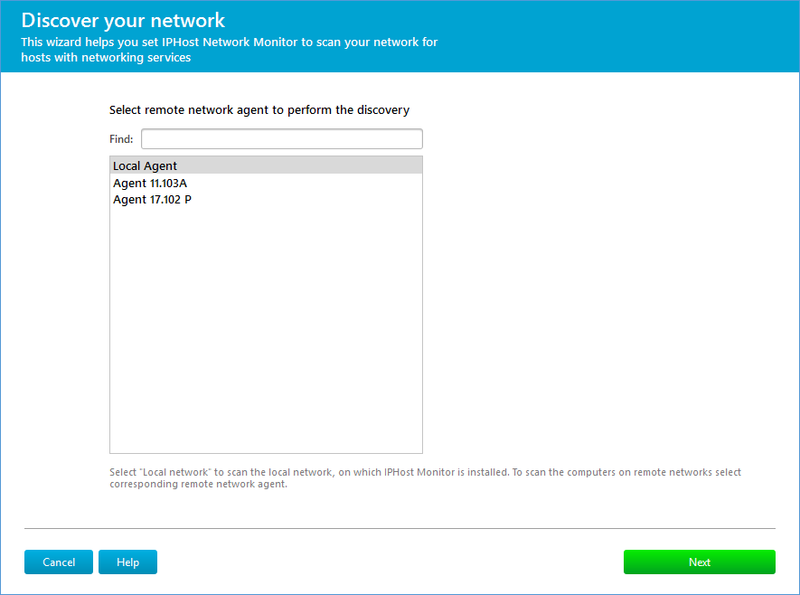 Choose which agent to use for discovery. 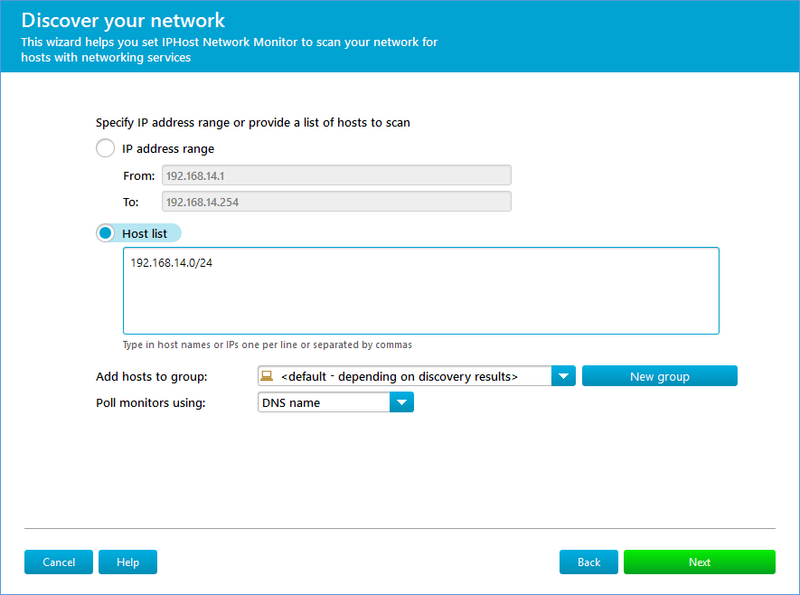 The next step allows to specify what hosts to scan. IPHost detects network mask of default network adapter automatically; it is also possible to specify IP ranges, subnets in CIDR notation or hosts/IPs list. On the next page resources can be specified to look for. IPHost will scan network for resources on standard ports, you can also specify additional ports to scan, if applicable. 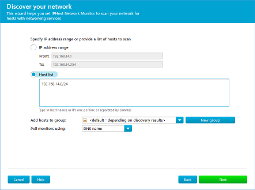 “Scan for other monitors only if host responds to PING” allows to reduce time required to scan: only if host answers to ICMP PING, will further checks be performed. Note: uncheck that if there are hosts not responding to PING for some reason. “Activate discovered monitors” allows to run monitors immediately, or left them stopped, so you could review them first and adjust settings as you wish. The next page allows to specify what credentials (if necessary) should be used. Credentials can be inherited from host or host group, or you can override that by specifying the set of credentials to use. The final page allows to set up scheduled repeated network scans (re-discovery). It’s self-explanatory; if re-discoveries are required, they can be scheduled on per day basis (all scans will be started at the same time of day). After all parameters are set, just click on “Scan” to commence the discovery process. The monitoring process continues while network discovery is in progress. The IPHost Network Monitor will create monitors for all discovered resources and start them if the corresponding feature is selected immediately after the discovery process is finished.